I love whole pork loins. I’ll take a 14-15 pound primal, cut it into thirds and get about a dozen pork chops and two good size roasts. 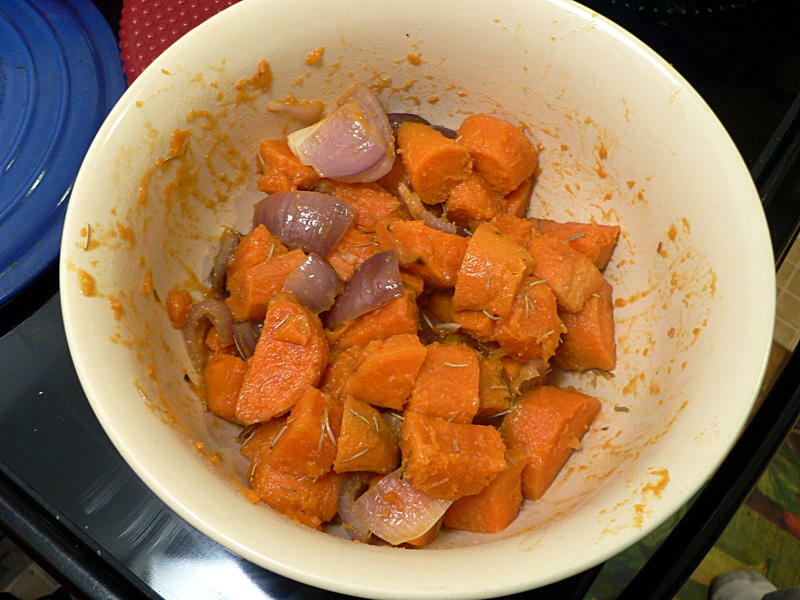 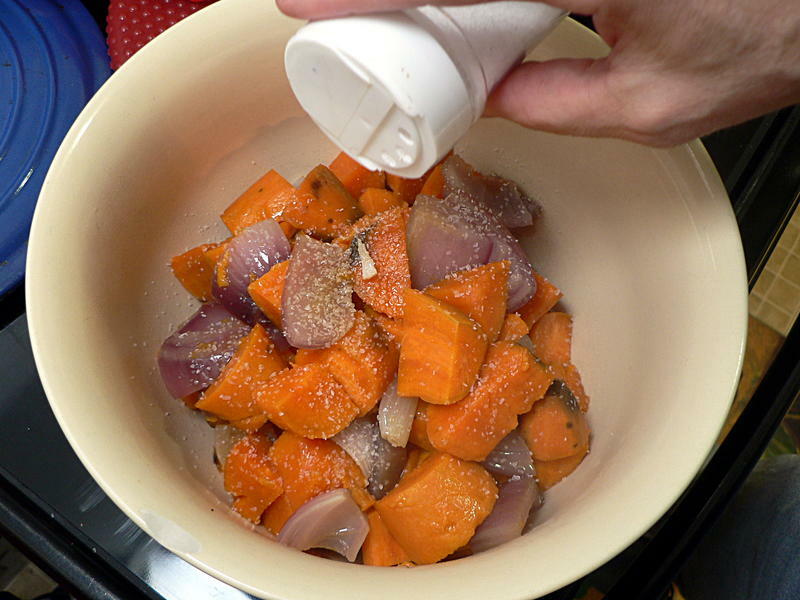 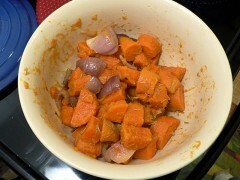 And the sweet potatoes? 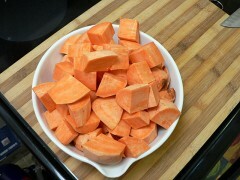 Well, that’s just because we got bored with Russets and fingerlings. 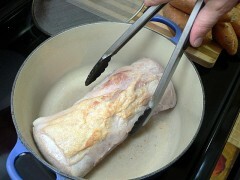 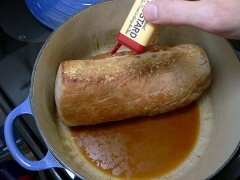 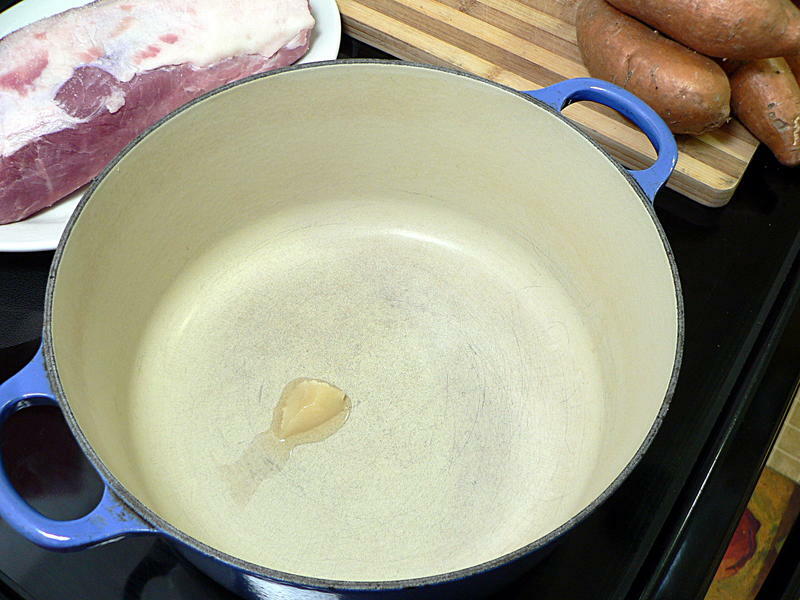 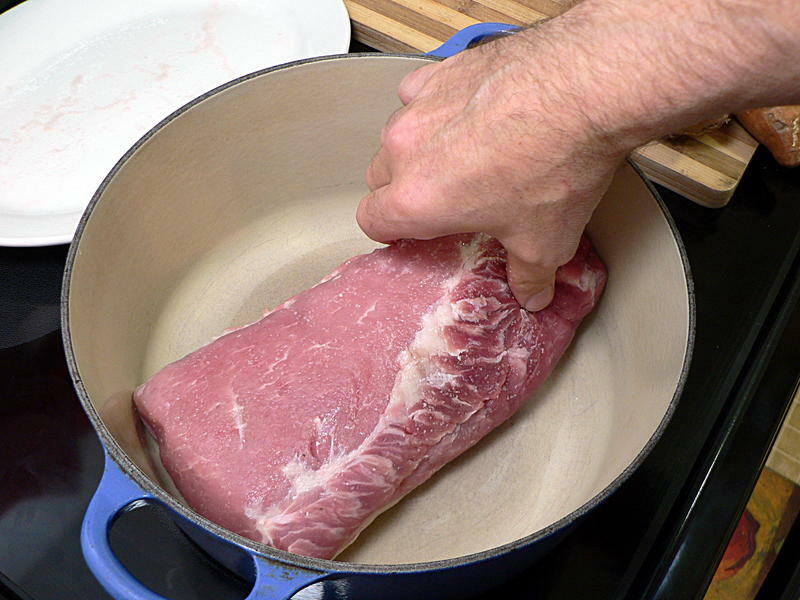 Salt the pork generously all around, and melt a couple of tablespoons of fat in a dutch oven over high heat. 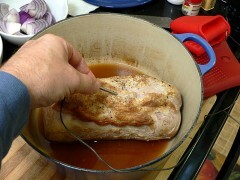 Put the pork in and brown it all around, then season with mustard powder. 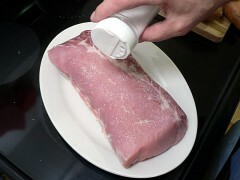 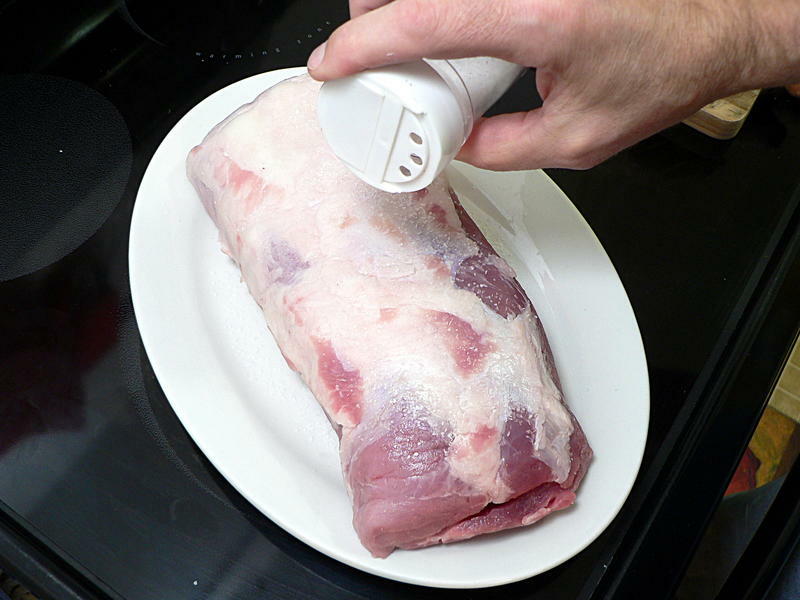 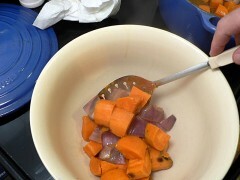 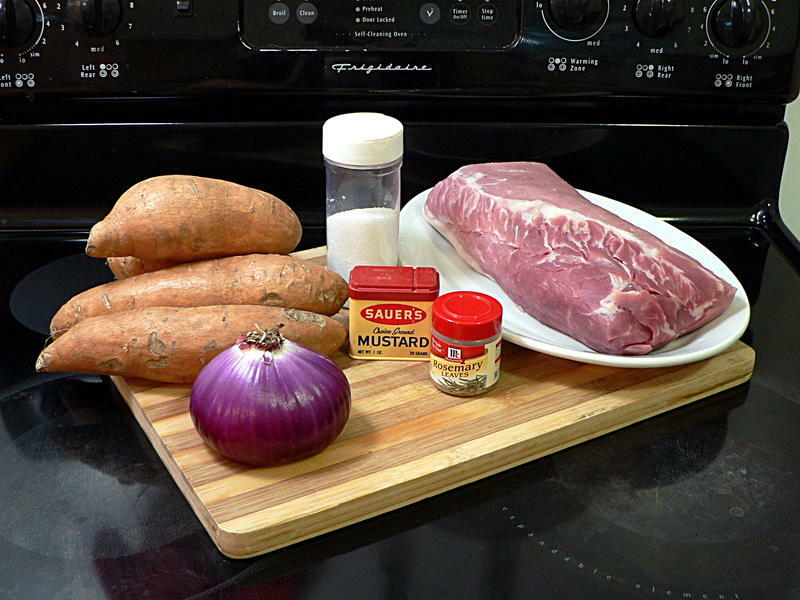 Insert the probe from a digital thermometer into the center of the pork, then surround the meat with the chopped veggies. 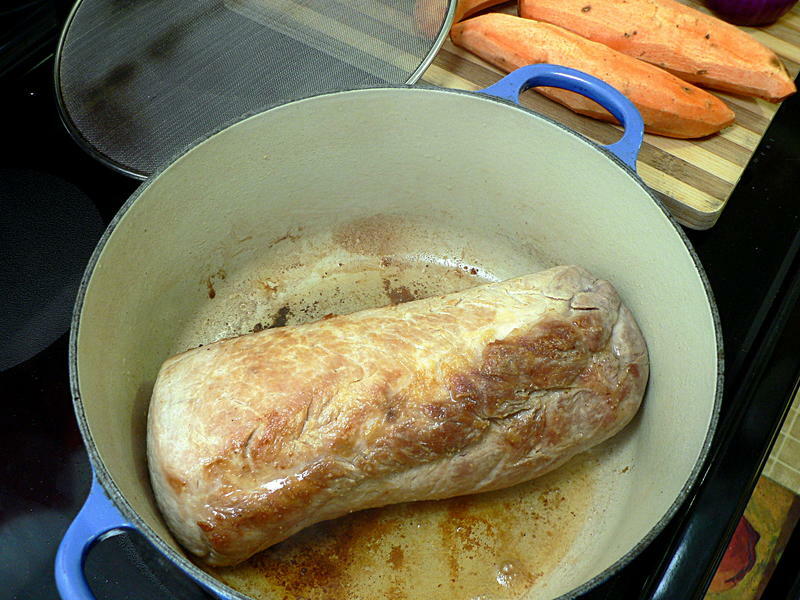 Put in the oven at 350° until the thermometer reads 160° – between starting with the meat at room temperature and the time browning it, I only needed another 20 minutes in the oven – then remove the pork, put the cover back on and put the veggies back in the oven. Cover the meat with foil and let it rest while the veggies cook for another 20 minutes, until the potatoes are soft all the way through. 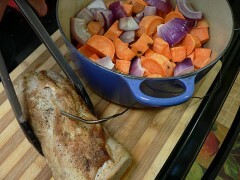 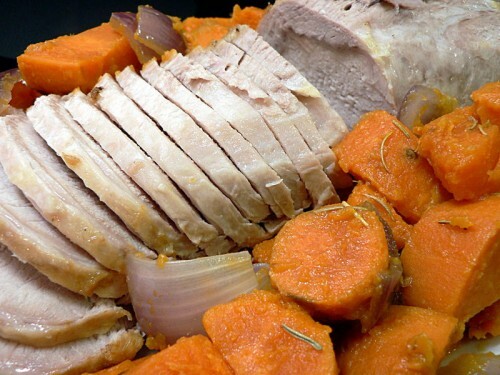 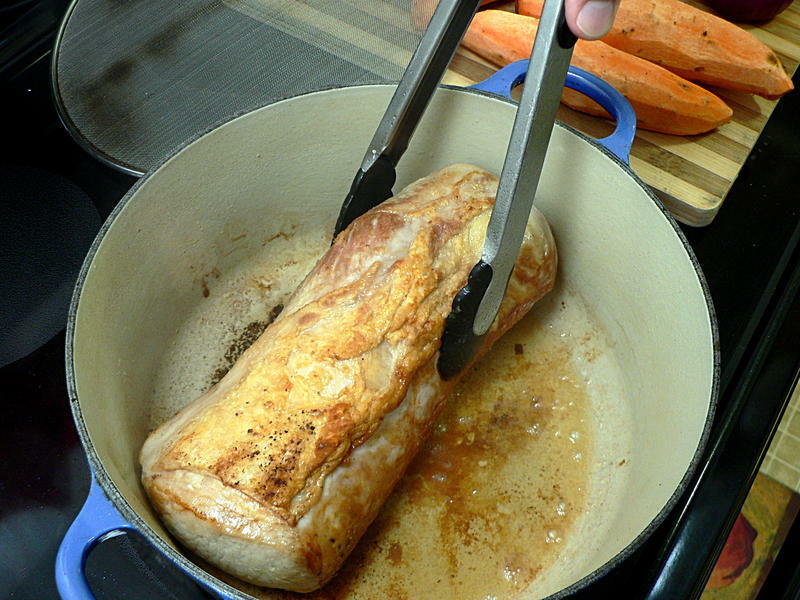 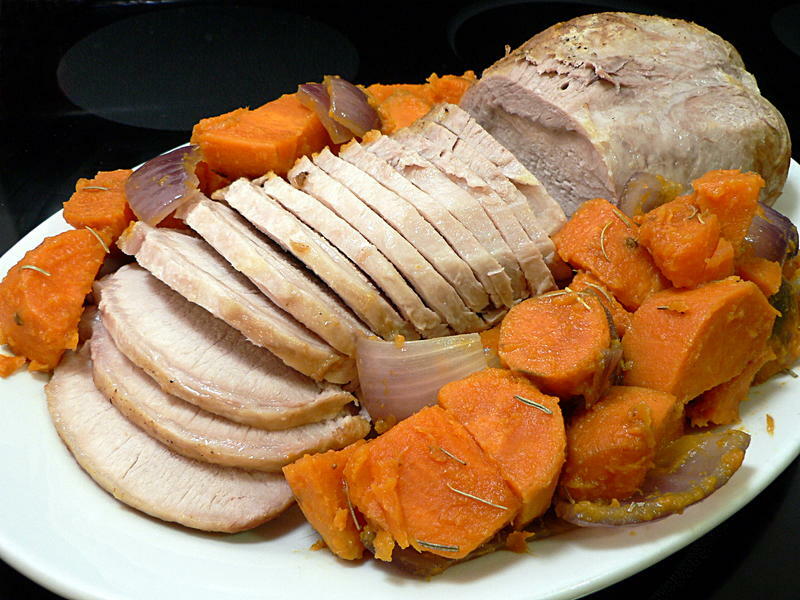 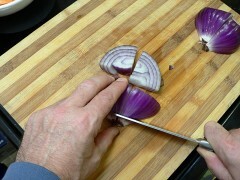 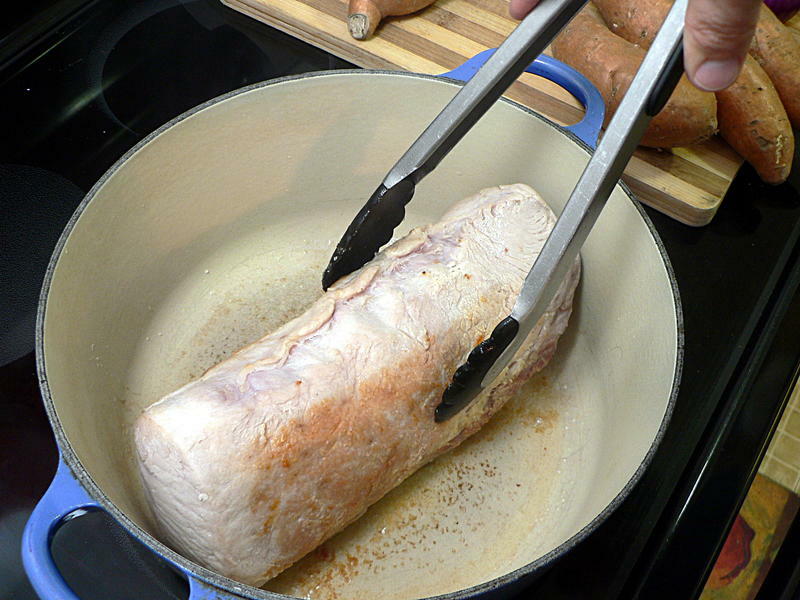 Just before the veggies are done, slice about half the pork about an eighth-inch thick – half the width of you thumb. 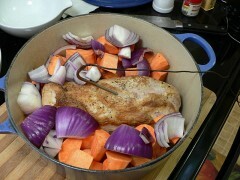 Scoop the veggies out, add rosemary and salt and toss to coat evenly. 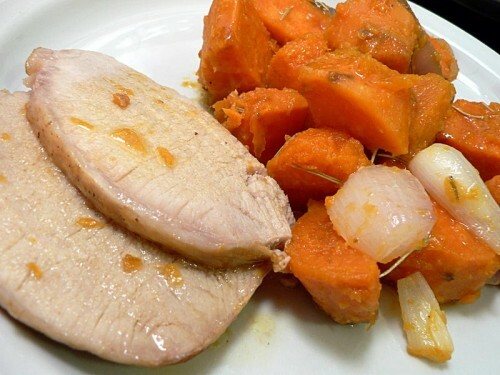 Put the pork on a serving plate and surround it with the veggies.